What class will you choose? In Fiesta you can choose one of 5 different classes to explore the world of Isya. There are far ranged and close ranged classes, you can simply deal damage, support your friends, use debuffs against your foes like "damage over time" skills (DoTs) or you can use magic spells. 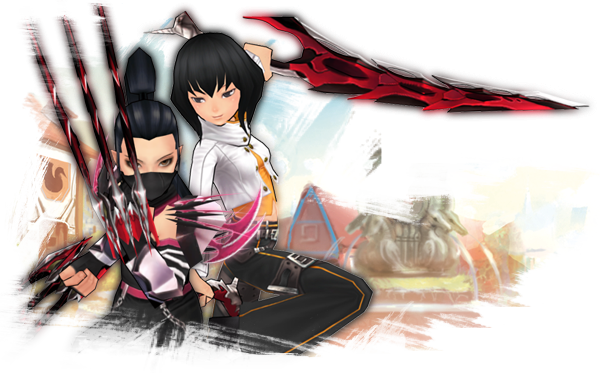 Each class has also one or more "area of effect" skills (AoEs) which are totally different from each class. 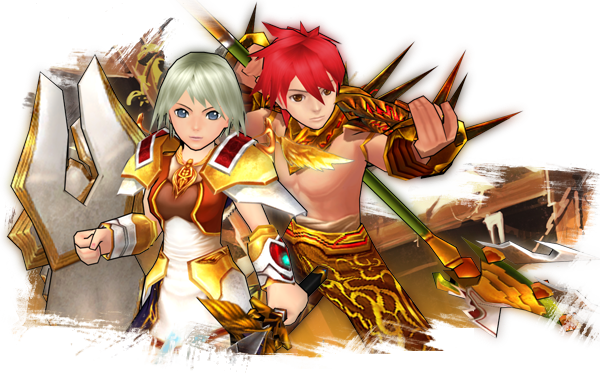 Choose the right class to overcome all those adventures in Isya! A Fighter battles foes at close range while allies support him from all sides. Fighters can equip a 1-handed sword and shield to act defensive or a 2-handed sword or axe to act offensive and deal much damage! 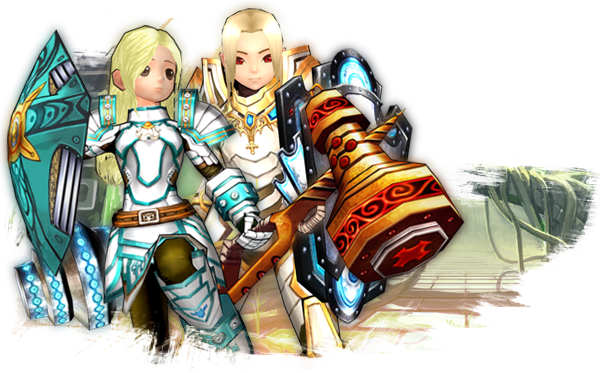 Cleric focuses on supporting other players with a lot of buffs but can also deal some damage. 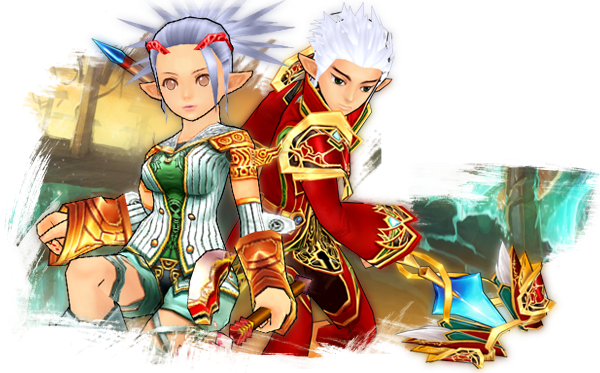 The Cleric is the only healing class in Fiesta who is also able to revive other players. Clerics can equip a 1-handed hammer or mace and a shield. 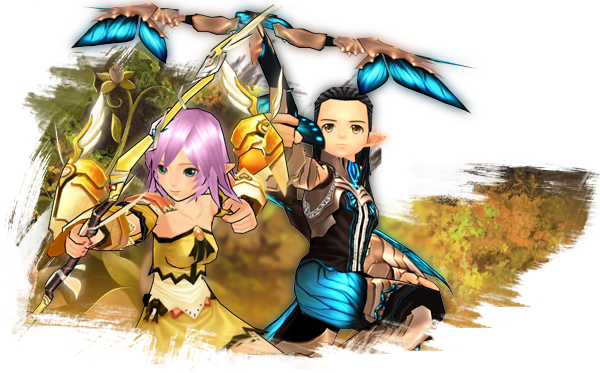 The Archer is a full damage class who is dealing far ranged damage to one or more targets with sharp and different kinds of arrows. Archers can equip a 2-handed bow or crossbow. A Mage is using arcane power and commanding it to use powerful spells from far range and has many AoE skills. The Mage is the only class who is starting with a spell at Lvl 1 (Magic Missile) and who can summon their own assisting ally. Mages can equip a 2-handed staff or wand. The Trickster is a close range damage class and an expert at dealing much damage in a short amount of time, especially with his DoT skills and powerful finishing attacks. The Trickster is the only class who is using one weapon for each of his hand to be the fastest damage dealer in the world of Isya. Tricksters can equip either 2-handed claws or dual swords.